Since RadMultiColumnComboBox is a compound control, it uses the theming of RadGridView. Therefore, in order to make a theme for RadMultiColumnComboBox, you should change the styles for RadMultiColumnComboBox and for RadGridView. 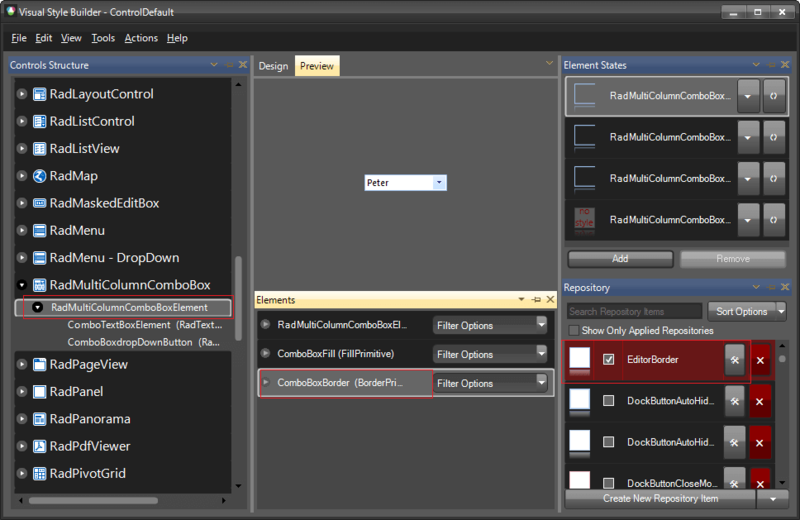 The following example will show you how to edit the predefined ControlDefault theme for RadMultiColumnComboBox. 1. 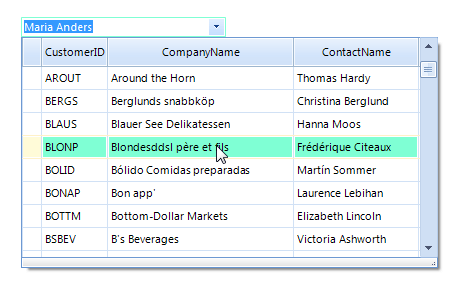 Open VisualStyleBuilder: Start menu (Start >> Programs >> Telerik >> UI for WinForms [version] >> Tools). 2. 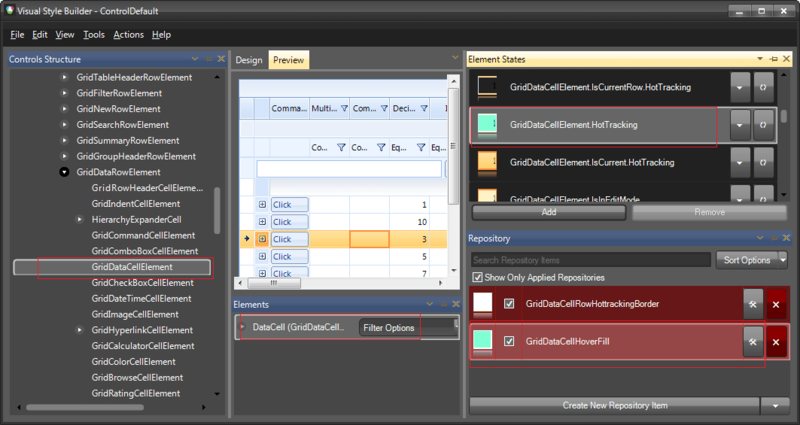 Export the built-in themes in a specific folder by selecting File >> Export Built-in Themes. 3. Load a desired theme from the just exported files by selecting File >> Open Package. 4. First, we can change the appearance of the RadMultiColumnComboBox element. Let's change its BorderPrimitive.ForeColor to Light Green. To do that, we can just change the fore color of the already applied repository item style. 5. Now, we can edit the styles for the RadGridView. For this example we will change the hover row back color to a light green. This can be achieved by selecting the GridDataCellElement and changing the BackColor of the GridDataCellHoverFill repository item. 6. Save the theme by selecting File >> Save As.